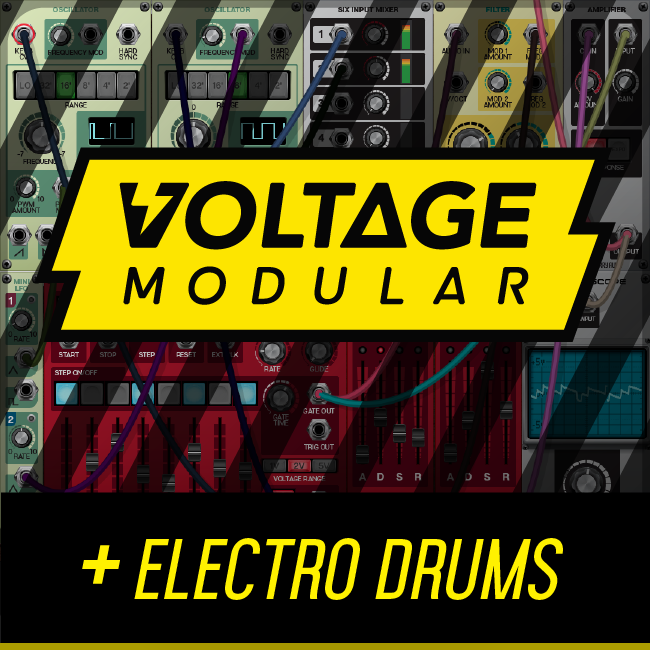 Cherry Audio has announced an update to the virtual modular synthesizer, Voltage Modular. Version 1.3.5 features a new QWERTY Keyboard, which allows Voltage Modular to be played directly from your computer's QWERTY keyboard. It's ideal for rapidly auditioning presets, testing and building complex patches, or working with Voltage Modular when a MIDI controller isn't available. 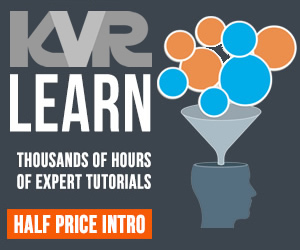 This a free update for registered users. 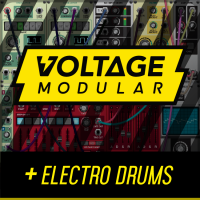 New customers are offered a limited time intro offer price of $99 for the Voltage Modular Core Package (91 modules, regularly $150) plus the Misfit Audio Electro Drums Package (15 modules, regularly $50). 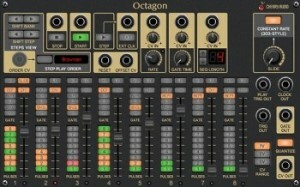 Cherry Audio Octagon ($20) is a powerhouse sequencer that allows fast and easy creation of rhythmically elaborate patterns and melodies. Sequences can be up to 32 steps, and each step contains up to 8 gate pulses with numerous modes for extended note values, legato play, repeats, or user-defined patterns within each sequence step. 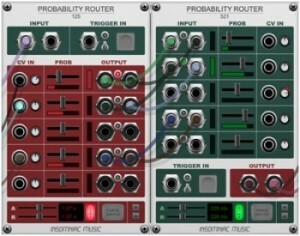 Insomniac Music début their new Probability Router Bundle ($12) which includes Probability Router 125 and Probability Router 521 modules, both ideal for West Coast-style randomness and sonic morphing. Route a CV or audio signal to one of five outputs or one of five input signals to a single output, based on random selection and adjustable and modulatable probabilities. PSP Audioware has released their new PolyADSR-S module, a polyphonic stereo version of their PolyADSR module, including key follow, expression control, and a loop option. Included in PSP Poly Modular Collection and PSP Ultimate Modular Collection. 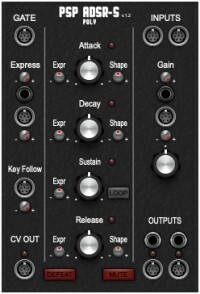 Benard Modules has added more modules to their collection, including Rotate Inputs ($10), Multi-Delay, ($20), Random Out Switch ($10), and the new polyphonic modules, Poly Panner ($15) and Poly Scale and Offset. These modules have been added to some of Benard's existing bundles, so existing owners may already own these new modules.